CHINATOWN, Manhattan (WABC) -- Smoke filled the air near Chinatown after a fire broke out at a vacant 6-story building. 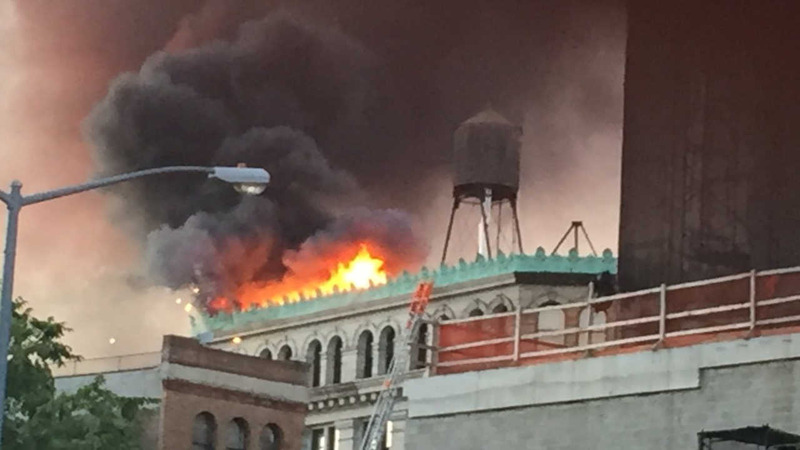 Flames broke out on 190 Bowery between Delancey St. and Rivington St. on Monday evening just after 7:30 p.m.
Video and photos posted on social media show smoke filling the sky downtown. Several witnesses say the fire started on the roof deck of the building.